Ticket sales are now open for the 119th U.S. Open Championship, which is taking place from June 10–16, 2019 at Pebble Beach Golf Links. Popular gallery tickets and premium packages are now available at 2019 U.S. Open tickets. The fabled course on the Monterey Peninsula, which celebrates its centennial in 2019, has hosted five previous U.S. Opens, four U.S. Amateurs and two U.S. Women’s Amateur Championships. Pebbl¬e Beach will also host the 2018 U.S. Amateur Championship from Aug. 13-19, as well as the 2023 U.S. Women’s Open and 2027 U.S. Open Championship. 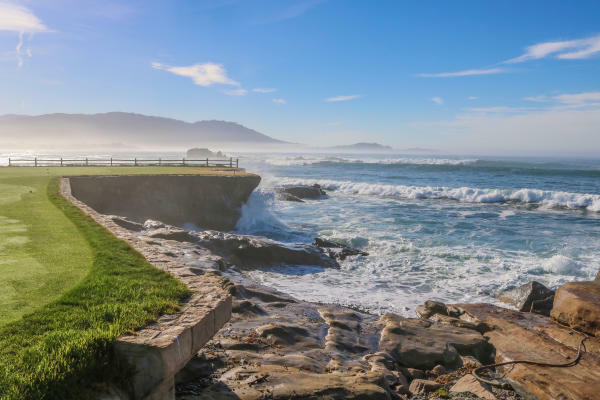 Lodge Premier: The Lodge Premier ticket gives fans access to the championship grounds and The Lodge at Pebble Beach main building, including all Lodge restaurants, The Terrace Lounge and outdoor patio. Premium food and beverage will be available for purchase at an additional cost. Ticketholders will also have access to executive restroom facilities and upgraded VIP parking. Trophy Club: The Trophy Club is an air-conditioned facility conveniently located between the second and third fairways at Pebble Beach, a short distance from the iconic 17th and 18th holes. The Trophy Club offers seating and live network coverage of the championship in a sports bar-like setting, with access to executive restroom facilities and a wide variety of food and beverage options available for purchase. Gallery: Gallery tickets provide general admission to the grounds of Pebble Beach Golf Links to watch the world’s best players, walk the course, enter the grandstands and purchase food and beverages at concession stands. All tickets include complimentary general parking and shuttle transportation. Tickets can be purchased exclusively at 2019 U.S. Open tickets. Questions can be directed to ticketquestions@usga.org or by calling 1-800-698-0661.